Replacing the MX-M700 and based on the same print engine as the recent MX-M283, MX-M363, MX-M453 and MX-M503, Sharp has launched a new 75 ppm B&W A3 MFP in the USA, the MX-M753. It features all the standard specifications of the new models of the manufacturer: retractable keyboard, color touchscreen interface, and frontal USB port. Among the improvements brought by this new model, the print and copy speed has been upgraded to 75 ppm from 70 ppm, the warm-up time has been reduced from 120s down to 30s. It is also possible to add a booklet finisher and the MFP print server has been upgraded (800 Mhz processor, 80 Gb HDD and up to 2 Gb RAM). This model should soon arrive in Europe along with the MX-M623, which will replace the current MX-M620U. Datamaster Online (DMO) is a benchmarking portal: competitive information, analyses, evaluations, comparison tools, technical data, product strengths and weaknesses, TCO ... and much more. An independent test lab. 20 Mar 2019 We have redesigned the Product Page of the DataMaster Online portal for print sales and marketing professionals! 02 Jan 2019 Happy New Year! 10 Dec 2018 LRS acquired Drivve Inc.
04 Dec 2018 Etin'sel project: news from our intrepid adventurers! 06 Sep 2018 Three new series from Toshiba! 28 May 2018 BUYERS ONLY THINK ABOUT PRICE! 04 Apr 2018 All your copier comparisons - all in one place! 17 Jan 2018 2018 for DMO: New Year, New Skin! 21 Jun 2017 Bids and tenders teams: save time with our new search tool! 02 Jun 2017 The Toshiba e-STUDIO5008LP: ecological, economic high performance! 10 Apr 2017 HP prepares to fire a broadside: 54 all-new A3 MFPs coming your way! 28 Feb 2017 PaperCut 17 will be out soon! 02 Jan 2017 DataMaster wishes you a very Happy New Year 2017! 20 Dec 2016 Printer-Benchmark launches DMO Production Solutions! 23 Aug 2016 Three MFPs in Toshiba's new A3 color range get FIVE stars! 14 Jun 2016 DataMaster at Drupa 2016 - what did the manufacturers have on show? 30 May 2016 Ready for Drupa 2016? 23 May 2016 Toshiba launch a whole new fleet of 23 MFPs! 13 May 2016 Ready for Drupa 2016? 15 Apr 2016 Canon updates the imageClass series! 04 Apr 2016 PeperCut rolls out version 16.0! 26 Feb 2016 Sharp sale confirmed? 16 Feb 2016 Konica Minolta updates its monochrome production range! 08 Feb 2016 Looking for Mobile Solutions? 29 Jan 2016 Xerox to split in two? 28 Jan 2016 New from Lexmark! 05 Jan 2016 Happy New Year! 21 Jul 2015 Smart Benchmarking Tools! 06 Mar 2015 DMO now available in Russian! 29 Jan 2015 Is Sharp in trouble again? 17 Dec 2014 Gold and silver toner on the new Fuji Xerox Color 1000i! 28 Aug 2014 Fuji Xerox test a robot printer - to bring your prints right to your desk! 26 May 2014 Konica Minolta USA widens its range of Solutions with NSi Output Manager by Notable Solutions inc.
11 Apr 2014 Evaluation certificates for the Xerox WorkCentre 7845 and 7855 now available on Printer-Benchmark.com! 09 Apr 2014 HP's new inkjets: Can ink make it in the office? 14 Feb 2014 The new Ricoh A3 color MFPs are on DMO! 09 Sep 2013 Sharp launches two new color production printers: the MX-6500N and MX-7500N. 29 Aug 2013 DataMaster update! 23 May 2013 DataMaster continues to grow in 2013! 29 Mar 2013 Is HP PageWide signalling the return to the office of the inkjet? 29 Oct 2012 New DMO Homepage! 03 Aug 2012 Happy Holidays! 25 Apr 2012 DataMaster has a new logo! 01 Jan 2012 wishing you a Very Happy New Year 2012! 22 Dec 2011 Merry Christmas and Happy New Year! 05 Oct 2011 Canon presents the new iR Advance C2025i ! 29 Sep 2011 Fiery controllers in the new color range from Kyocera-Mita! 16 Jun 2011 Toshiba updates its whole A3 color range! 09 Mar 2011 Kyocera-Mita launches 2 new A3 series! 01 Mar 2011 Konica-Minolta launches the new BizHubs 552 and 652! 18 Jan 2011 DataMaster launches DMO DataTest! 13 Jan 2011 DMO now has over 1,000 machines! 22 Dec 2010 Merry Christmas and a Happy New Year 2011! 20 Dec 2010 DataMaster is looking for a Sales Consultant! 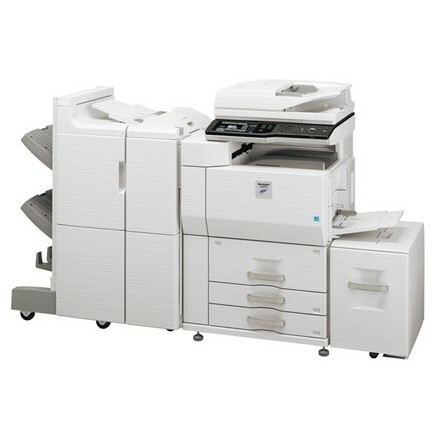 24 Nov 2010 Ricoh launches their new MPC3001, MPC3501, MPC4501 and MPC5501! 06 Nov 2010 Sharp launches the new MX-2310U! 07 Sep 2010 D-Day for DMO new generation! 19 Jul 2010 Samsung only on the A4 market? 31 May 2010 Back from the Ipex! 18 May 2010 The Ipex international fair opens its doors today in Birmingham! 07 May 2010 The certifications and labels review continues ! 05 May 2010 Canon annouces 6 new iR Advance B&W in Europe ! 22 Apr 2010 What do these certificates awarded to MFPs really mean? 08 Apr 2010 Toshiba add a new 20ppm MFP in their A3 color range! 06 Apr 2010 Xerox replace the WC7232 and WC7242! 31 Mar 2010 After the C10 and C20, here's the C35 from Konica-Minolta! 30 Mar 2010 Canon hold 84% of Océ shares! 26 Mar 2010 New Ricoh MPC6000 & MPC7500! 22 Mar 2010 D day for DataMaster Online (DMO) on your iPhone! 12 Mar 2010 DMO on your iPhone: official launch March 22nd! 05 Mar 2010 Takeover of the Océ group by Canon quasi-effective ! 25 Feb 2010 New Ricoh MP2851 and MP3351 on the European market ! 24 Feb 2010 XANTE now referenced in DataMaster Online! 22 Feb 2010 No more PDF files, manage pro's and con's more Dynamically! 16 Feb 2010 Ricoh replaces the MP4000 and 5000 series with the new MP4001 and 5001! 09 Dec 2009 Kyocera launches its new A3 color 55, 65, and 75 ppm in Europe ! 23 Sep 2009 New range, New name for Canon colour products ! 19 Aug 2009 New Toshiba's range ! 24 Jul 2009 2 new MFP in TASKalfa range ! 30 Jun 2009 New A4 color for Ricoh ! 14 May 2009 Xerox launched the world's first A3 color wax MFP ! 15 Apr 2009 Lexmark and its 9 new laser MFP !